This article was originally published on www.baseballrebellion.com in May 2017. “The Softball Swing is totally different than a Baseball Swing.” This is a statement that I had heard before but it had never been directed specifically towards me. Truthfully, I brought this discussion upon myself because I asked a Softball player (we’ll call her Sarah for confidentiality) if she wanted any help with her swing, unsolicited. I normally refrain from doing this since players, understandably, dislike criticism they are not looking for. The reason I did ask was because Sarah’s brother had been attending lessons for months and had seen dramatic improvement from being engaged in the Baseball Rebellion program. While I was teaching a lesson to Sarah’s brother, she was hitting in the adjacent cage. The differences in the swings from the two cages could not have been more different. To Sarah’s credit, she was following her instructor’s teaching perfectly, swinging as directly to the ball as possible (creating a downward swing path.) Sarah was also following traditional teaching with other parts of her swing by squishing the bug with her back foot and finishing forward with her head over her front foot. The results of Sarah’s swings were either weak grounders or pop ups with a ton of backspin. In contrast, Sarah’s brother was in the next cage swinging violently and using his entire body to maximize his force behind the ball. This was the first time I had encountered siblings whose hitting focus and goals were so different. In an attempt to build a case for the baseball and softball swing being extremely similar (if not identical), I decided to look at the evidence. What she meant by this is that the rise ball does rise but crosses the plate out of the strike zone. The pitcher simply hopes that the pitch entices the hitter to swing and miss underneath it. When instructing hitters on hitting a true rise ball, we usually instruct them to take it since it is highly unlikely that it will be a strike. Many pitchers claim a rise ball but they are really throwing a pitch that flattens out towards the middle to the top of the strike zone. These pitches result in a high percentage of home runs since they are easy to lift and softball fields are only about 200 feet. Below are two examples of SEC players hitting “rise balls” that were left lower than intended and therefore flattened out. Both of these hitters are clearly swinging up which allowed them to demolish the ball for a home run! As a pitcher’s velocity approaches 70 MPH (extremely fast), it is possible to throw rise balls for strikes that actually do rise. I studied Kelly Barnhill from Florida. She is an elite level pitcher. Let’s take a look at a couple of her rise balls below. As I mention in the video above, Barnhill’s rise ball does travel upward at about a 3 degree incline and crosses at the top of the strike zone. Due to the height and trajectory of the pitch, hitters can easily lift this pitch. In fact, the goal of a pitcher like Barnhill is to get the hitter to swing and miss underneath the ball or pop it up. It is rare for ground balls to be hit on a true rise ball. 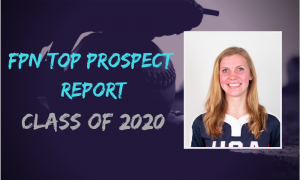 So what do we tell our hitters to do on the rare occasion that they face an elite pitcher with a true rise ball like Kelly Barnhill? We stress the importance of pitch selection because most of their misses will come from swings out of the zone. We also teach our hitters to flatten out their swing when swinging at a rise ball in the zone. This way, our hitters minimize their chances of missing under the pitch while maximizing their chances to drive the ball for an extra base hit. This concept is something that we only have to address with our players who truly play at an elite level since the chances of most hitters facing a true rise thrown as a strike is extremely low. As you can see, Alex Hugo begins her large leg lift well before the pitcher releases the ball. This allows her time to get her body and energy moving without feeling rushed. The ball still hasn’t landed. While no softball or baseball hitter has to use a leg kick, it is certainly a viable option. All the logic and theory in the world can sound great but it will be useless without practical application with real-world examples. We have had the privilege of working with hundreds of Softball players who have fully bought into using the Baseball Rebellion methodology in their swings. This has resulted in millions of dollars in scholarships for our hitters due to their great on-field results. 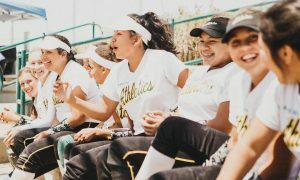 Below are just a few videos of our softball players utilizing a “baseball” style swing in games. The results are clear. 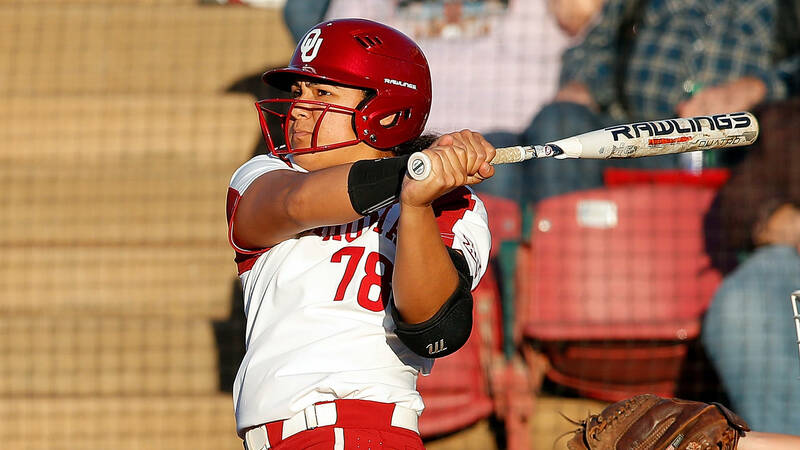 If you are a softball player looking to take your swing to the next level, check out our online hitting lessons page here.